This entry is part 7 of 10 in the series Memorial Tourism. 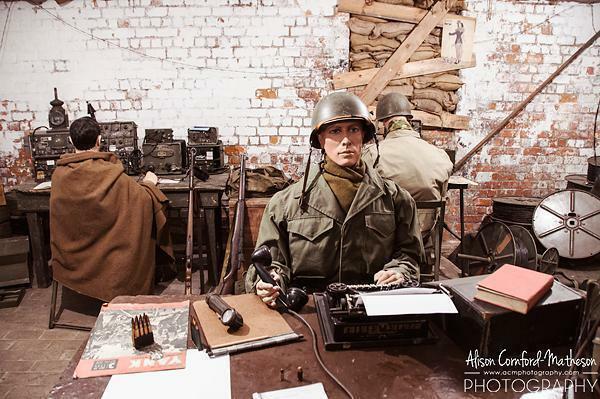 The Bastogne Barracks Museum illustrates the Belgian city’s defences during the Battle of the Bulge and showcase military vehicles at the Vehicle Restoration Centre. In December 1944, Bastogne,the US 101st airborne, and 10th Armored divisions were at the centre of a massive German assault, now known as the Battle of the Bulge. The Germans launched their attack on December 16th and, four days later, surrounded the US troops in Bastogne, a critical road junction. The US divisions established their headquarters in the Belgian ‘Heintz’ Barracks. 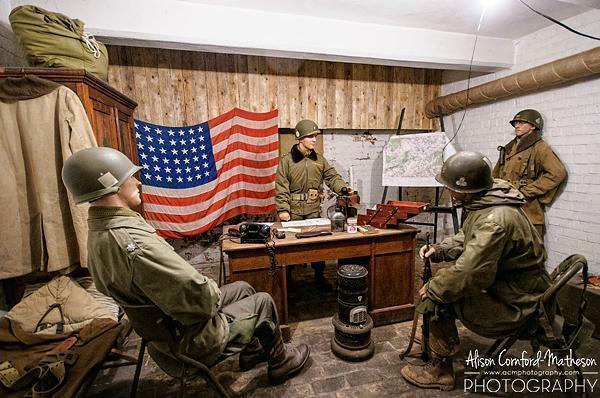 Today the barracks are still owned by the Belgian Military, but they have been turned into an interpretation centre for the Second World War. In fact, the guided tours are provided by soldiers. I’ll admit, my knowledge of this battle is biased strongly by the TV series, Band of Brothers. I remember one of the officers, Major Richard Winters, vividly because of his attitude and respect for his men. I also remember watching scenes of soldiers in the forest with trees exploding around them. I expected the museum would tell me more about those types of events. 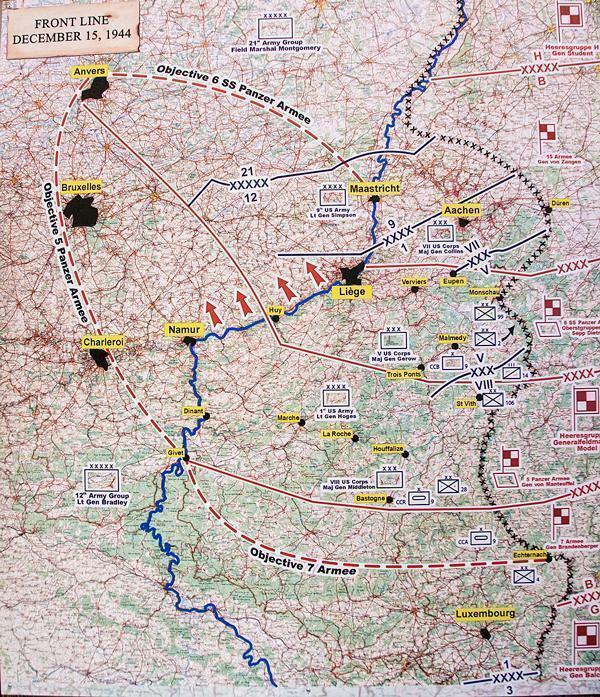 But the museum’s goal is to provide visitors with an understanding of how the defence of Bastogne was organized. Although I did catch a glimpse of Major Winters’ name during our visit, he and his regiment were in the front line, resisting the German advance. The barracks are where all the command decisions were made and exploring this critical aspect of the battle is the purpose of the museum. There is only one possibility to save the encircled U.S.A. troops from total annihilation: that is the honorable surrender of the encircled town. Nuts! 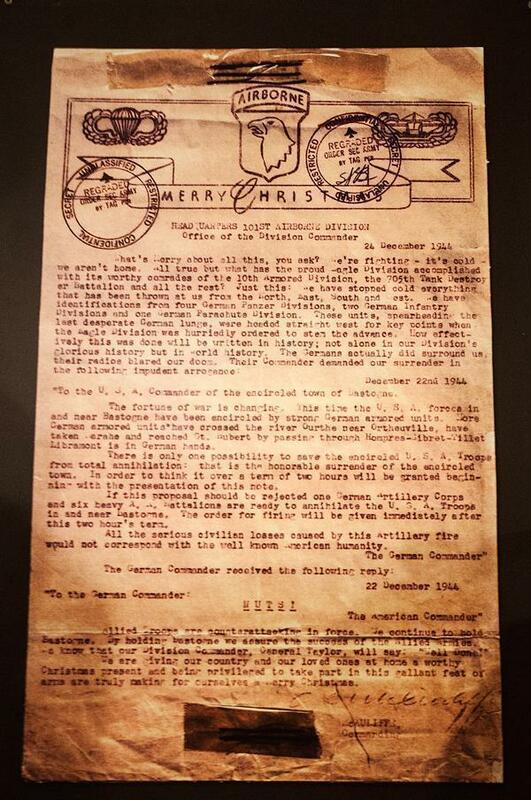 A copy of the Christmas newsletter containing the ultimatum and reply. Despite their confusion with this response, the Germans continued to press their attack. Nonetheless, under heavy and constant attack, the US troops held the Germans off until reinforcements arrived, on December 26th. Although McAuliffe’s answer to the German ultimatum is quite well known, I have to admit, I remembered nothing about it. Visiting the barracks and taking the tour filled in the gaps in my knowledge by providing a look at life in the barracks during the siege. Restored parts of the barracks now house exhibits, including: a map room; a radio room; the commander’s office; and a large collection of materials used in the fighting. In 2011, the museum opened a new exhibit recreating McAuliffe and his staff relaxing after Christmas dinner. This moment of calm, in the midst of heavy fighting, was immortalized in a photograph, a copy of which hangs above the exhibit. 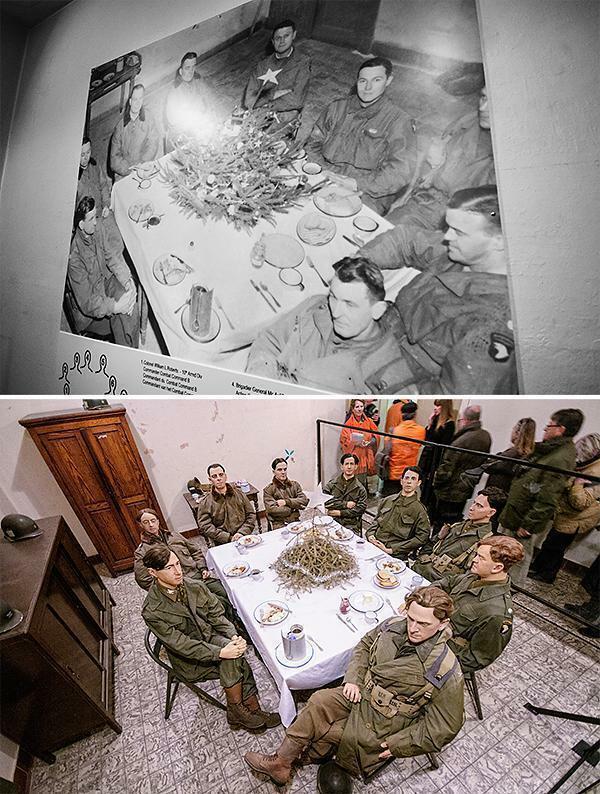 The museum curators used other period photographs around the site to show how the area looked in December 1944. The restoration work gave me a better sense of how the defence was coordinated. The tour could have ended there and I would have been satisfied. However, there is one more feature of the Bastogne Barracks that makes me want to spend much more time there: the Vehicle Restoration Centre. 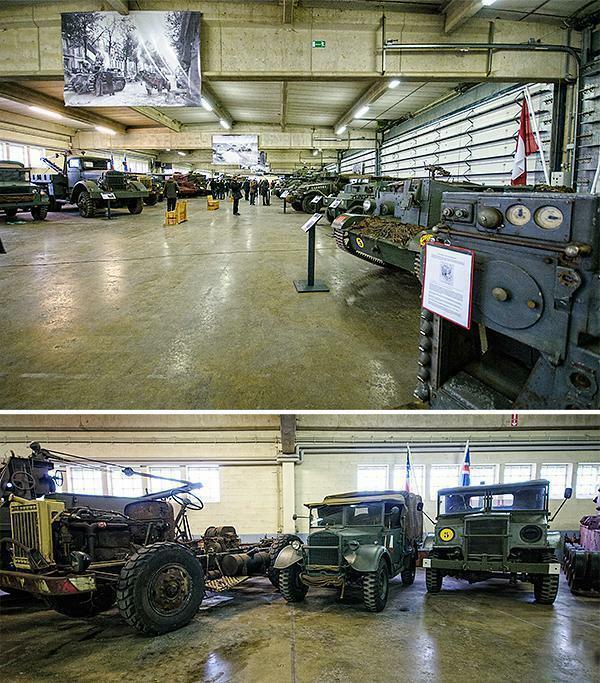 Part of the Belgian Royal Military Museum, the Vehicle Restoration Centre is where machines from the wars of the 20th century come back to life, including tanks, howitzers, and armoured cars. Stored in a warehouse the size of a football field, there are two ranks of machines on each side, totalling about 40 vehicles. I absolutely loved wandering around the large warehouse of old war machines, many of them much bigger than I imagined. My interest in the history of the two world wars started with a book about Erwin Rommel, the “Desert Fox.” Rommel is famous for heading the defence of Western Europe on D-Day (and committing suicide afterwards), but before that, he was a celebrated tank commander. I have since read a lot about the many different tanks, both Allied and German. The Vehicle Restoration Centre’s collection features tanks (including a Mathilde, a Jumbo and a Firefly Sherman, a Stuart, a Matador, and more), several half-tracks, a number of heavy trucks, and field guns. They even have a Russian T34/85 – it is huge! It’s much larger in real life than I envisioned. I was surprised to see this vehicle in Belgium. I hoped they had a German Tiger or Tiger II heavy tank, but not yet. What impressed me most is many of them are now operational, thanks to the work done by the team at the centre. The whole Royal Military Museum collection consists of more than 360 vehicles spread across three sites: Brussels, Bastogne, and Brasschaat. The main restoration work happens in Brasschaat and includes the support of volunteers. There are perhaps larger collections of tanks elsewhere, but discovering this collection in Belgium was a surprise. If you want to see a few of the tanks in operation, you can check out the YouTube playlist of Philippe De Clercq or the Tank Museum. If you are more enthusiastic, every December (around the 15th), Bastogne hosts “La Foire aux Noix et Marche du Perimetre de Bastogne” featuring a historic walk and a parade of military vehicles (video of vehicle parade). I will be adding this event to my calendar. Walking into the Vehicle Restoration Centre was like entering a candy store. To see some of these machines up close made me giddy with excitement. I still feel giddy thinking about returning with friends and family who would appreciate the significance of the machines and the restoration work. 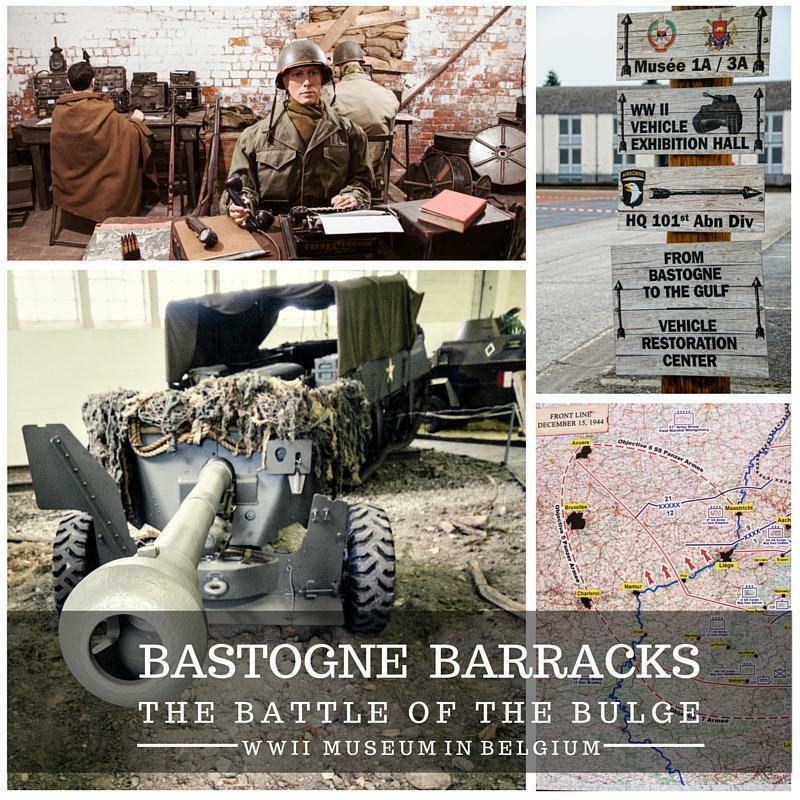 Combined with the Bastogne Barracks and Bastogne War Museum, it is a great way to round up a visit to the area. Admission is free and they are open Tuesday to Sunday from 9am. Visits are guided and depart at 9am, 10am, 1pm, and 2pm. 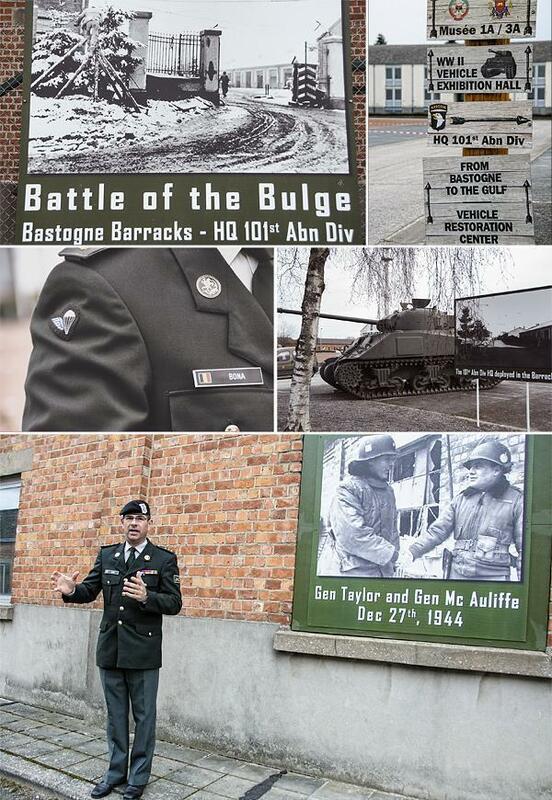 From December 12-14, 2014, Bastogne commemorates the 70th anniversary of the Battle of the Bulge, including a military vehicle parade. For more information, check the schedule on Bastogne’s website (in French). 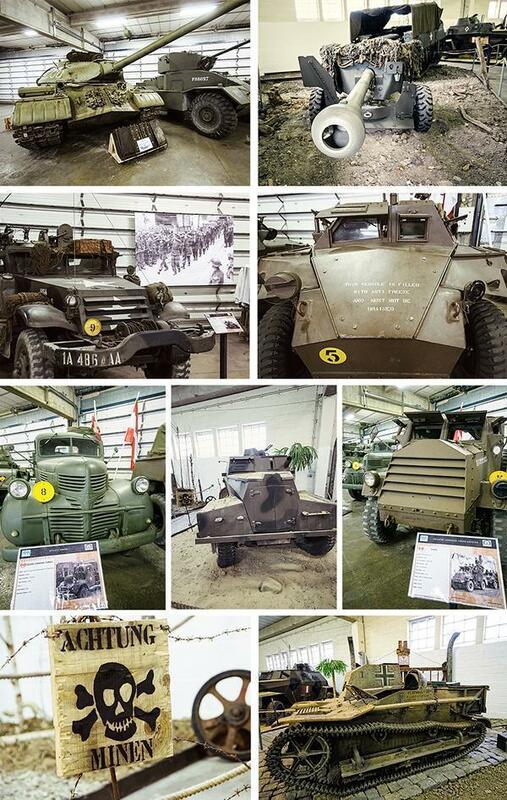 Have you already visited any of the Bastogne museums? Share your recommendations in the comments below. 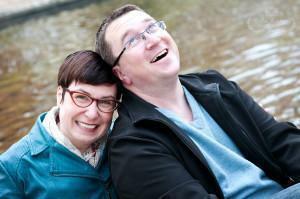 For a full listing of our articles like this one, visit our Memorial Tourism in Belgium page.